IEN Europe: The International Federation of Robotics (IFR) has published its new World Robotics Report which highlights a doubled sales volume for industrial robots over the past five years. Why are robots becoming so important in the industrial world? O. Giertz: The key benefits of robots today are productivity and flexibility - added to the traditional attributes of precision and repeatability. Companies need to get products to market more quickly and are required to produce lower volume production runs - with a higher number of variations and degree of customization. Hence, production has to be much more flexible. At the same time, companies want to boost their productivity from the same footprint to reduce costs, while improving quality. This requires a precise and stable manufacturing process; all of which can be addressed with robotic automation. IEN Europe: From robots to collaborative robots: the interaction between human beings and robots is a key topic now. Why? O. Giertz: Collaborative robots (or cobots) work alongside people and actually work like people. They can take over monotonous tasks like sorting, packaging, cutting, loading and unloading, and can be used for more potentially dangerous tasks to eliminate risks for human operators. Cobots are particularly attractive for small and mid-size companies where labour cost is an important consideration, where available workspace is limited and where production output is not so high. A key advantage of cobots is the ease of set-up by direct teaching. This means you don’t need a highly skilled robot programmer for the set-up process and running a task or the adaption to new tasks. We don’t see cobots as replacing traditional industrial robots, especially when there is a demand for high speed production and output; rather, they open-up new opportunities to do things differently. IEN Europe: How will Artificial Intelligence impact on the industrial environment in the next 5 years? O. Giertz: Artificial intelligence (AI) is still at the beginning of its journey, but we can expect it to have a massive impact on the industrial environment over the next few years. AI is a perfect fit for manufacturing, and Mitsubishi Electric already offers various AI functions including for robotics. For example, in 3D Vision sensing processes, adjustment time is significantly reduced by AI, while force detection precision is improved by integrating AI technology with the force sensor. Furthermore, it might become possible for robots to make timely suggestions, or even autonomous decisions based on measured data in real time for further optimization of the process. 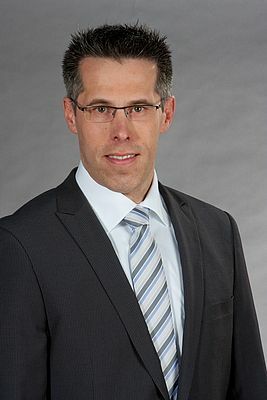 Apart from that another focus will be on predictive maintenance, where advanced AI algorithms in the form of machine learning can reduce or eliminate unplanned downtime, which could save manufacturers a lot of cost. IEN Europe: Robots are evolving with many cutting-edge technologies such as vision recognition, skill learning, failure prediction utilizing AI. Which new features can we expect in the future? O. Giertz: AI will play a key role in manufacturing, and that is why we are putting a lot of investment into this area. As well as more intelligent predictive maintenance – detecting impending faults and telling operators how to fix problems – we see AI coming to the fore in areas such as voice/face recognition, automatic teaching, self-learning and auto-tuning. Looking at self-learning, for example, consider a robot that receives a product which deviates from the standard in terms of orientation, geometry or packaging. Without AI the robot cannot identify these irregularities and so could not react accordingly. In contrast, robot systems equipped with AI and corresponding vision systems as sensors could learn to identify these deviations and to adapt their processes in real time. IEN Europe: Any information you want to share with our readers about Mitsubishi Electric’s plans for future technology development? O. Giertz: Artificial Intelligence is going to play a more and more important role in the digital factory, across all sectors of industry. It’s a core technology for Mitsubishi Electric, and you’ll find it across solutions such as vision systems, controllers and more. We see AI’s learning and process optimization capabilities as offering huge potential for production and processes. Due to the importance of Artificial Intelligence for our company, we have said that we want to position our developments in the field of Artificial Intelligence as an independent brand and thus put the emphasis on the fact that Mitsubishi Electric is strategically active in this field. 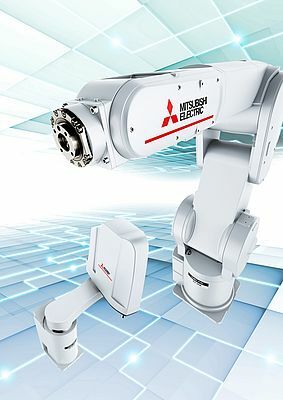 Mitsubishi Electric bundles its AI technologies under the brand “Maisart" (Mitsubishi Electric's AI creates the state-of-the-art in technology).